LIVE BETTER WITH LESS FOOT PAIN: Compression socks designed with your relief in mind. 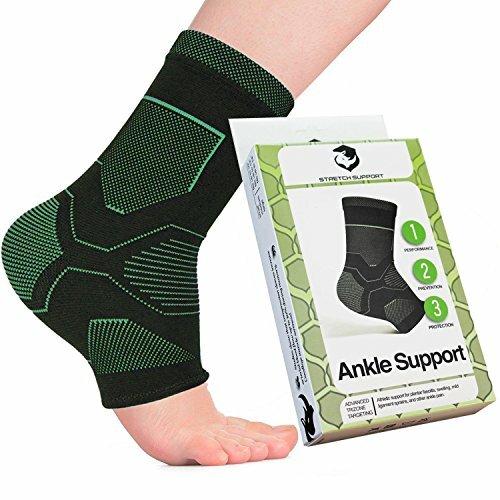 Stretch Support ankle braces are engineered to provide targeted compression for achilles tendon support. 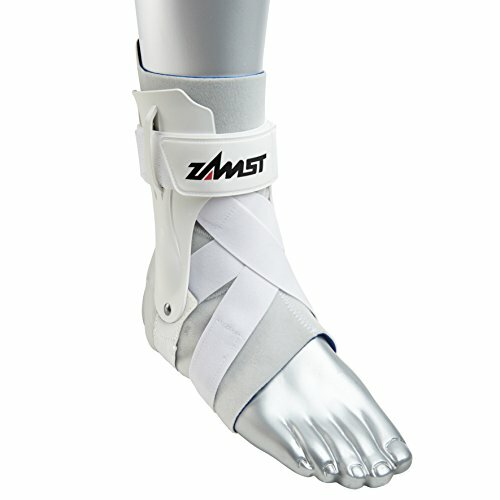 The increased circulation reduces swelling and muscle fatigue while speeding up recovery to keep you doing what you love. LOWER IMPACT ON YOUR MUSCLES: Adapting to your foot, our brace socks provide support and reduce impact on your muscles while remaining comfortable and dry through our sweat wicking material. 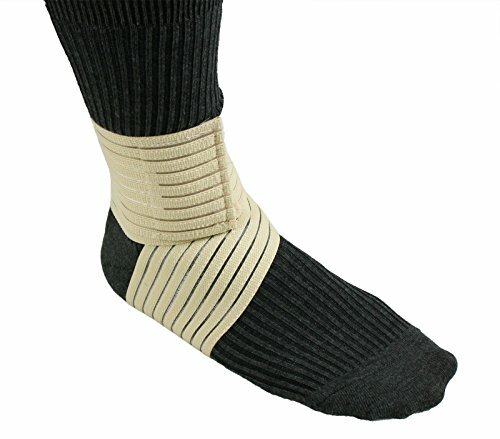 The knitted ankle brace ensures breathibility and comfort for all day relief. Supporting your feet will help keep you going all day long! 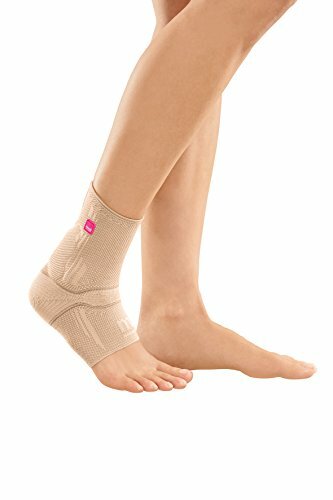 REDUCE THE SYMPTOMS OF PLANTAR FASCIITIS: Gradual compression targeting the heel and foot providing support to combat the symptoms of plantar fasciitis. Your feet will remain stable to help the plantar fascia stay limber. We recommend using our open toe compression socks in conjunction with regular stretching, orthotic inserts and sock splits for best relief. INVEST IN YOURSELF WITH TOP QUALITY: Manufactured with you in mind, these compression sleeves last to ensure you have support for your active lifestyle. Our perfect knit ankle sleeves have a flat profile and slip discreetly in your shoe. The moisture-wicking fabric ensures your feet remain dry to prevent athlete’s foot and avoid itchiness that other socks may cause. 100% MONEY BACK GUARANTEE: We are a small business that is here to support you. Buy with confidence knowing that if you are not completely satisfied with your compression gear, you can return it. We look forward to helping you maintain your active lifestyle.